Arthur James Balfour’s wrote 84 words that sealed the fate of the Palestinian people by ultimately displacing most of them from their historical homeland to live in permanent exile. That was it. The letter was sent to one of the leaders of the Jewish community in Britain, Walter Rothschild, who needed the British assurance to rally the leaders of the Jewish community behind Britain in the First World War. Balfour was anti-Semitic. But that was beside the point. At the time, the man was the Foreign Secretary of His Majesty’s government. He later became a Prime Minister. His clout, and the powerful interests he represented, made his statement the first and most serious commitment made by any government to build a ‘home’ for Jews in Palestine, at the expense of the land’s native inhabitants. Speaking recently in New York University, Palestinian professor Rashid Khalidi described the British commitment then as an event that “marked the beginning of a century-long colonial war in Palestine supported by an array of outside powers which continues to this day”. The fact that the British government remains committed to Israel after all of these years is irrefutable proof of that country’s complicity in Israeli crimes. It should not take a century for a country to reexamine and apologize for its immoral past. But for Britain, it has, and no apology seems to be coming any time soon. Starting with the Balfour statement, coupled with the aiding of Israel in the ethnic cleaning of Palestinians in the 1940s, to the sale of heavy water, which Israel required to build its nuclear reactor in the late 1950s, Britain was on Israel’s side from the very beginning. The blind support provided to Israel by former prime minister Tony Blair, or present leader Theresa May are by no means an exception to the norm. The inescapable fact is this: without Britain, six million Palestinian refugees, now scattered around the world, would have remained in their own homeland. The Balfour Declaration tried and failed to mask its colonial intentions behind contradictory terms, as in “the establishment in Palestine” – the Palestinian homeland – a “Jewish homeland”, without prejudicing “the civil and religious rights of existing non-Jewish communities in Palestine”. “The national home it promised to the Jews was never clearly defined and there was no precedent for it in international law,” wrote Avi Shlaim, in Wm. Roger Louis’ book Yet More Adventures with Britannia. Shlaim, an Israeli professor, described the declaration as “arrogant, dismissive, and even racist … and the worse kind of imperial double standard, implying that there was one law for the Jews, and one law for everybody else”. This arrogance and racism continue unabated. In a recent statement, Israeli Prime Minister Benjamin Netanyahu confirmed his November visit to Britain with the intention of ‘celebrating’ the 100th anniversary of the Balfour Declaration. How could the vanquishing of a nation, the destruction of every path leading to a possible peaceful and just resolution of a bloody conflict, the incessant violations of human rights be an event worthy of celebration? 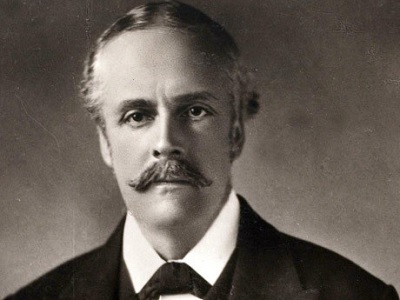 In a visit to occupied Jerusalem last March, British Foreign Secretary Boris Johnson proved a worthy descendant of Arthur James Balfour as he declared his government to be “rock-like supporters” of Israel. And like Balfour he spoke with a forked tongue, and followed the same contradiction of terms. “I should remind you the policy of our government is for a two-state solution and we hope to help bring it about in a modest and humble way. Obviously, we want to remove the obstacles to that,” he told Netanyahu. But Netanyahu and his rightwing government are the main “obstacle to that”. 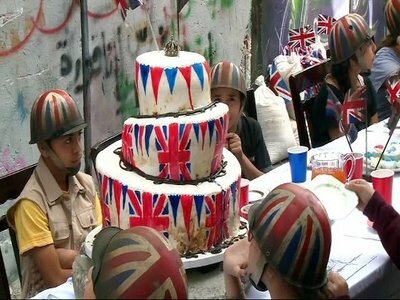 The British blind support, as a representation of the wider, equally blind support of Israel by western governments, led by the United States, is another “obstacle”. 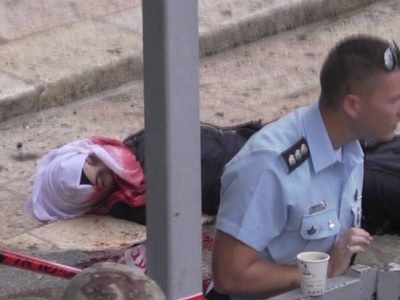 The Arabs were never the obstacle for they neither invited British colonialism, armed and funded Israeli occupation, supported and defended the illegal colonies or empowered notorious Israeli leaders to flout international law. It was Britain under Balfour that acted outside the rule of law, and Britain, and other western countries that continue to support Israel in violation of international law. It is this mindset that had rendered international law mere ink on paper, and relegated the UN into a platform for inconsequential speeches and reports, rarely read or implemented. One such report was issued last September. Published by the UN Conference on Trade and Development (UNCTAD), the report described Israel’s occupation of Palestinian land as the “longest occupation in recent history”. “For the Palestinian people, these were five decades of de-development, suppressed human potential, and denial of the basic human right to development, with no end in sight,” the report said. Sustained by unconditional British, US and western support, which remain committed to the Balfour legacy of 100 years ago, Israel is no rush to end the suffering of Palestinians. Meanwhile, Netanyahu is gearing up for his upcoming celebration in London, while Israel’s friends continue to speak of the ‘miracle’ of Israel. Conveniently, they overlook the fact that millions of Palestinians and other Arabs paid a heavy price to sustain that supposed miracle; that the entire Middle East has been in a perpetual state of war ever since; that the future looks bleak and unpromising. It is as if nothing has changed and that no lessons were ever learned in the 100 years since Balfour made his promise to establish a Jewish state. But this also rings true for Palestinians. Their commitment to fight for freedom, also remains unchanged, and neither Balfour, nor Johnson and all the British Foreign Secretaries in between managed to break the will of the Palestinian nation. That too is worth pondering. The author states “Balfour was an antisemite” …… can’t be serious ?